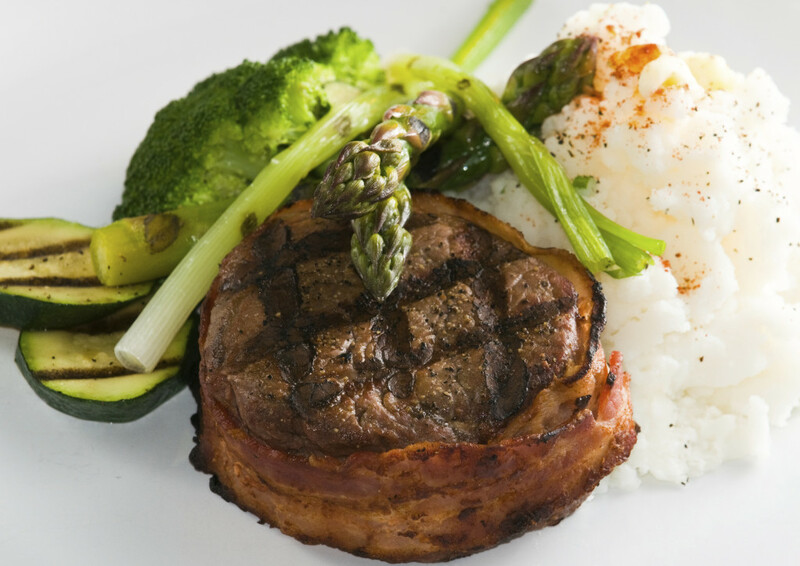 What the heck does bacon and filet mignon have to do with your online marketing strategy? Stick with me. We’ll get there. The construction biz is a dog-eat-dog world. The competition’s fierce, and someone’s always shooting from the hip, just waiting to scoop the business you earned. Referrals are a great way to land more business, and online marketing supplements those efforts. When everyone’s knocking on your door, you’re in the driver’s seat. To win big business, become a shameless show-off. Did that lighting retrofit project save your customer thousands in energy costs? Don’t be shy. Tell people about it. To create trust, leverage testimonials, case studies, and in-your-face results in an easy-to-find place on your website. There’s a difference between, “We provide lighting solutions to Big Box retail chains” and “We save Big Box retail chains an average of $50,000 each year with energy-efficient lighting upgrades.” See the difference? Vague language doesn’t sell. Always quantify and track results, and ask happy customers for testimonials. If you can’t quantify specific results on a project, don’t throw in the towel. Even a few words from a happy customer makes all the difference. Were they pleased with your timeliness and dedication to detail? Was your crew easy to work with? Always ask for testimonials and keep track of long-term results. The kind of businesses that roll around in cash know how to get inside people’s heads. They know how their customers think. They know how to inspire action. In business, context is everything. Why are visitors on a particular page? What are they looking for? What keeps them up at night? When you put yourself in your customers’ shoes, you get what makes them tick. Sprinkling “pain points” throughout your website content is like putting up a giant stop sign that says, “Hey! Pay attention.” When you speak your customers’ language—and serve up solutions to their most painful problems—they’ll make the deal without hesitation. If you aren’t gifted with words, invest in a good copywriter. To cut through the fluff and get your point across, put your faith in someone with an eye for marketing, conversions, and ROI. Good content pays for itself. If your customers aren’t inspired in 30 seconds or less, they’re gone. Sayonara. How do you make sure they stick around? Thirty years ago, business dealings happened in person. Today we rely on email, phone calls, or a quick text to sum it up. With work responsibilities piling up—and everyone clamoring for our time—we’re busier and more impatient than ever. When it comes to website content, don’t bury the lead. Keep it simple. No one has time to leaf through pages and pages of lengthy content. To make your website more scanable, break up content into easily digestible sections with lots of titles and bullets. Make it dead easy for people to take action and get clear on what you offer. How do you create trust online? Join the conversation by leaving a comment below, or connecting with us on Twitter @GraybarESP or on Facebook. With a keen eye for clever content, Tanya has 9+ years of marketing and copywriting experience under her belt. As Copywriter & Content Strategist at Bluefinch Creative, Tanya transforms snooze-worthy features into content that converts.